There are many things that you can accomplish with your own website so you shouldn’t waste an opportunity that you can fully control. 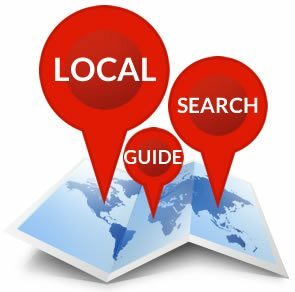 Many of the factors that influence local search rankings are outside of your control so start with the following onsite tactics and you’ll start to build on that solid foundation here in Phase 2 of our Massive Guide to Local Search Tactics. Consider adding your official street address, city name and phone number to the header or footer of your website. Make sure that it’s TEXT and not an image. Making sure that Google knows that you’re a local business starts with telling them where you’re located in your city. Add your official address to your website on every page. If you have multiple locations, make sure that each location has it’s own optimized page with contact information. Whenever appropriate, you should try to optimize the individual pages on your site and include your city and state. It might or might not be appropriate everywhere, every time. But consider sprinkling your location throughout the site pages so your specific location has a “presence” throughout your site. This one is not local specific but it’s an SEO best practice. You must make it easy for search engines to index all of your content. Especially secondary landing pages that are location specific. A great way to do this is by using a content management system like WordPress which will create XML and onsite sitemaps automatically. If you’re not using WordPress you can alway create an XML sitemap manually. A KLM file is another way that you can tell the search engines specifically where your business is located. They’re simple to create and upload to your site so there’s no excuse to quickly accomplish this step and move on. As mentioned previously in the first section (Phase 1 Planning/Setup) you should have a strategy to acquire reviews from customers. It can happen naturally as customers seek out sites to review your business and leave feedback, but you should have an active strategy to encourage reviews and make it very easy for your clients. Google loves content. Having an easy way to create and publish content on your website is essential. Start now, never stop. Hire someone to create content if needed. Creating the content is the hard part, setting up an easy way to publish that content is easy. Consider building your entire website on a platform like WordPress to make updates and maintenance simple. This all starts with having a good way to easily publish great content.